Sunday is Father’s Day. This will be the first one since my father passed away last August. It would be easy to spiral down from there, but to what end? Yes, I’m sad that he’s gone. That the traditional Sunday phone call to wish him a happy Father’s Day won’t be happening this year. But I’m not the first to lose a parent and it makes more sense to me to view Father’s Day as a day of gratitude. Looking back, I hit the Dad Jackpot. I’m so thankful that he was given almost 92 years on this earth. I have a lot of friends who lost their dad decades ago. I can’t say enough about all the things he did for me while growing up: the endless hours of crouching down behind a home plate he had crafted out of plywood so that I could practice pitching. Game after game of driveway basketball. The time he took me pheasant hunting, the fishing trips or all the adventures the family enjoyed on our summer camping trips. There were the United Airline company picnics at the Los Angeles Police Academy. (yes, the same one as in the films) Watching home movies, I’m reminded of the dad who smoked a pipe for a while. Then, when he gave up cigarettes and tobacco, he became addicted to having a toothpick in his mouth. He was on the board at the church school I attended and I recall one graduating classmate telling me he was afraid to shake dad’s hand—a part of the graduation ritual—because he might get splinters. John Hunter was easy going. He didn’t like conflict. While born in Scotland, he was raised in West Virginia and had that relaxed pace about him in life. He wasn’t fast, but deliberate. That’s probably what made him such a great mechanic, as several of his former United Airlines co-workers remarked to me at his funeral. He was the last of his siblings to go. We were blessed to have him for over nine decades. This Sunday is that day set aside to honor our fathers. 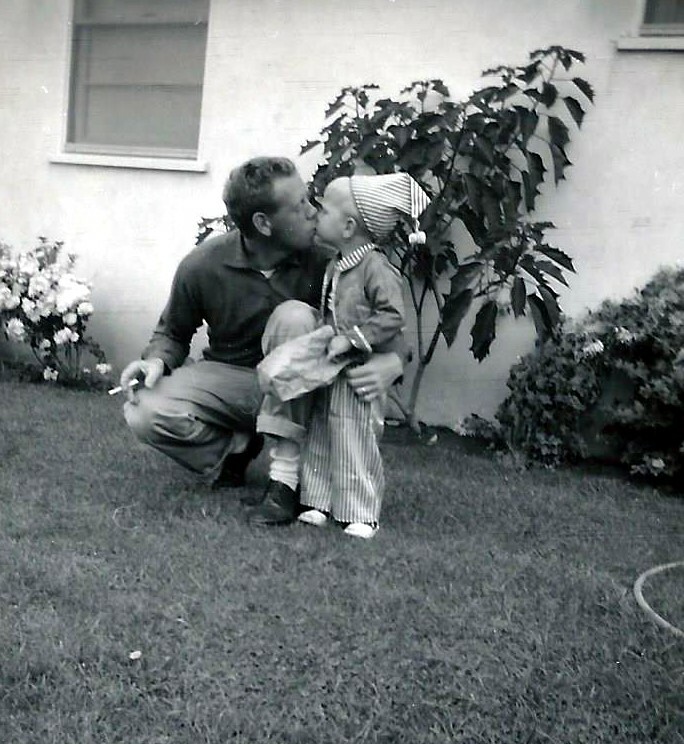 If you had a dad worth honoring, consider yourself lucky. That’s not always a guarantee and sadly, there are a lot of people who don’t even want to be reminded about their father. As a dad, that’s impossible for me to imagine. Being a father has truly been one of the greatest experiences of my life. Having to actually be responsible for a couple of human lives and the way they turn out, that’s a big concept. But having arrived at the point where my little ones are now 31 and almost 34, I’m so proud of what they’ve done with their opportunities and look forward to many great years ahead, watching them live their lives. And when the time comes that I experience a factory recall, I sure as heck don’t my kids moping around or being sad about me being gone. OK, well, maybe a little. But life is something to celebrate and, as we were reminded three times this past week in Orlando, to appreciate—every precious moment. A quick tip for those whose parents are still with us–sit down with a video camera or even your cell phone and a table tripod and ask them to tell you their life story. I did that several years with both mom and dad and while, for me, it’s too soon to go back there and watch, their presence, their voice, their mannerisms are then captured for generations to come. Maybe even do that this Sunday. 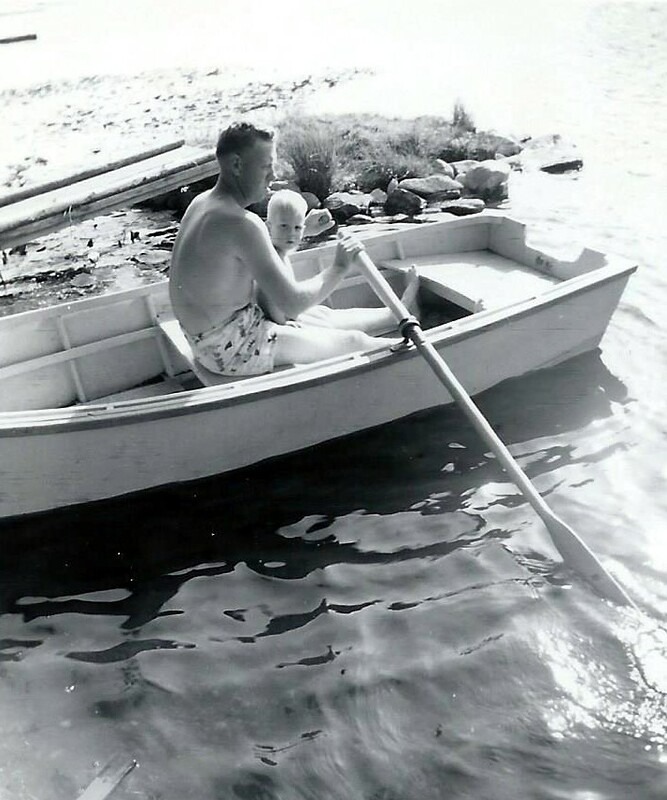 Thanks for your memories of your dad and, vicariously, remembering my own dad, now gone 31 years. I learned a lot from him, but mostly the ability to appreciate each day with a smile and a laugh.